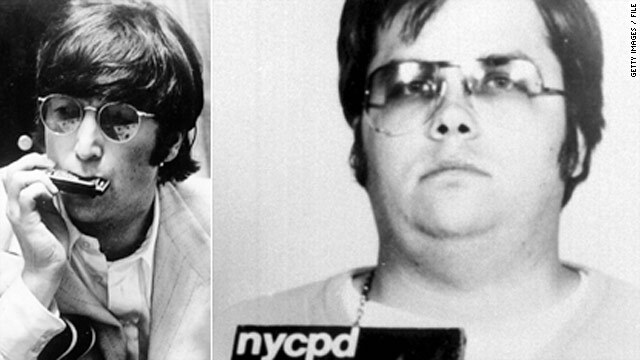 In 2008 parole, he was denied "due to concern for the public safety and welfare"
New York (CNN) -- Mark David Chapman, John Lennon's killer, is up for parole for the sixth time and may be questioned as early as Tuesday, authorities said. Chapman's latest quest for freedom comes just months short of the 30th anniversary of the death of the former member of the Beatles. Chapman is scheduled to be interviewed by two members of the parole board during this week, and that interview could happen Tuesday. The last time Chapman was up for parole, in 2008, the New York State Division of Parole issued a release saying his request was denied "due to concern for the public safety and welfare." He also was denied parole in 2000, 2002, 2004 and 2006. Chapman, 55, is serving a sentence of 20 years to life in prison for the shooting death of Lennon outside Lennon's New York City apartment on December 8, 1980. He has served 29 years of his sentence at the maximum-security Attica Correctional Facility, where he is held in a building with other prisoners who are not considered to pose a threat to him, according to officials with the state Department of Correctional Services. He has his own prison cell but spends most of his day outside the cell working on housekeeping and in the library, the officials said. For the past 20 years he has been allowed conjugal visits with his wife, Gloria. The visits are part of a state program called "family reunion" that allows inmates to spend up to 44 hours at a time with family members in a special setting. Inmates must meet certain criteria to receive the privilege. Chapman has not had an infraction since 1994, said Erik Kriss, spokesman for the Department of Corrections. Yoko Ono, Lennon's widow, in previous years has submitted a letter requesting that parole be denied.